The majority of slip and fall accidents result in minor injuries, but not always. 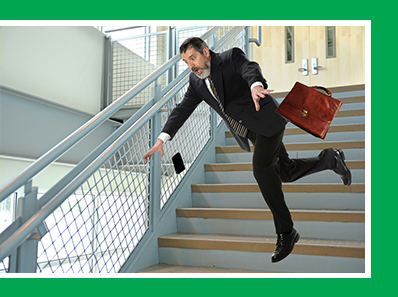 Slip and fall accidents can happen any time of year, to anyone. While most people associate these types of incidents with the elderly, many young people also come to us as victims of slip and fall accidents in Brownsville. 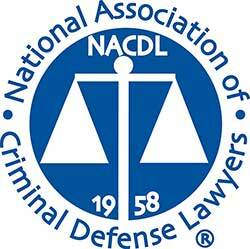 In fact, slip and fall accidents are the second leading cause of injury in the United States. No matter how careful we are, statistics indicate that most people will be involved in some type of slip and fall accident in their lifetime. Slip and fall accidents are usually categorized as “premises liability” cases because they often take place on a business or individual’s property. Many of these incidents occur because the property manager failed to adequately maintain their property so that it does not present any risk or danger to visitors. There are numerous laws in place in the state of Texas that are designed to keep property and homeowners in check and ensure their environment is safe all times of year. Business and merchant owners have a duty to persons who visit or use their premises to exercise reasonable care in order to keep the property in reasonable good condition. This law outlines that they must do what they can to address any known hazards, such as cracked sidewalks, slippery floors, or uneven stairs. If someone is injured on a property and the owner knew about the hazard that led to their accident, they may be held liable. Whether your slip and fall accident took place at a neighbor’s house or a local restaurant or other business, the property owner may be held liable and you may be able to pursue a lawsuit. With that in mind, it is important to note that slip and fall accidents and premises liability cases are not always easy to prove. It can be difficult to show that the accident was caused as a direct result of the property owner’s negligence, which is where a good premises liability lawyer comes in. In many cases, the property owner has insurance and that company will do everything they can to blame you for the accident. These are just a handful of the top causes of slip, trip, and fall accidents. There are many other factors that can contribute to someone sustaining an injury on a business’ property. Because these types of cases are so difficult to prove, we encourage you to contact Green Law Firm today so that we can get started on your case right away. Those who have success winning their premises liability case after a slip and fall accident do so with an experienced personal injury lawyer by their side. 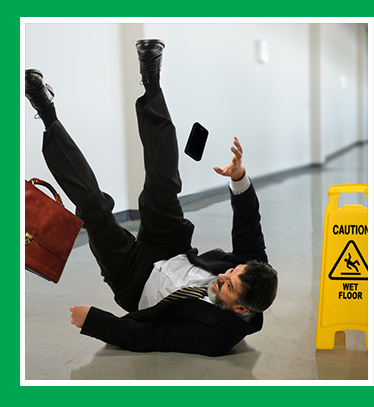 Our slip and fall accident attorneys here at Green Law Firm have many years of experience handling – and winning – these types of cases in Brownsville, Laredo, and throughout Texas. If you or a loved one has been injured on someone else’s property due to negligence, please contact Green Law Firm today.